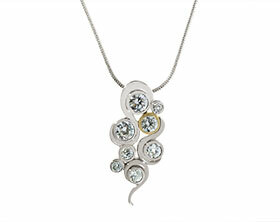 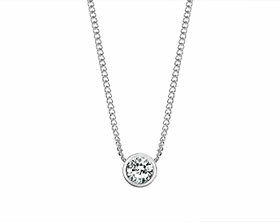 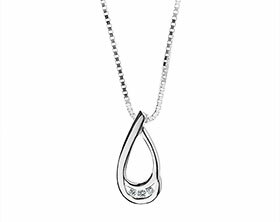 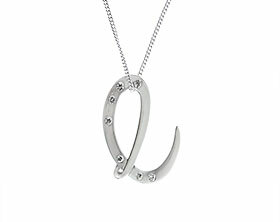 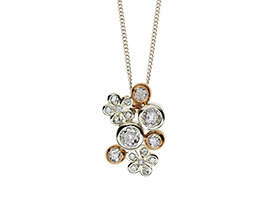 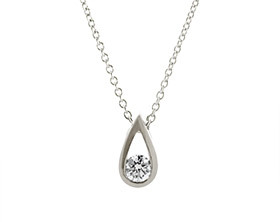 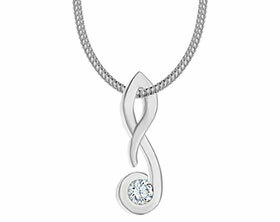 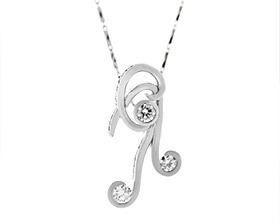 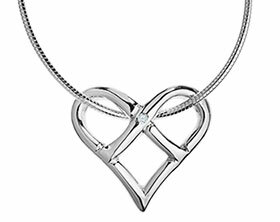 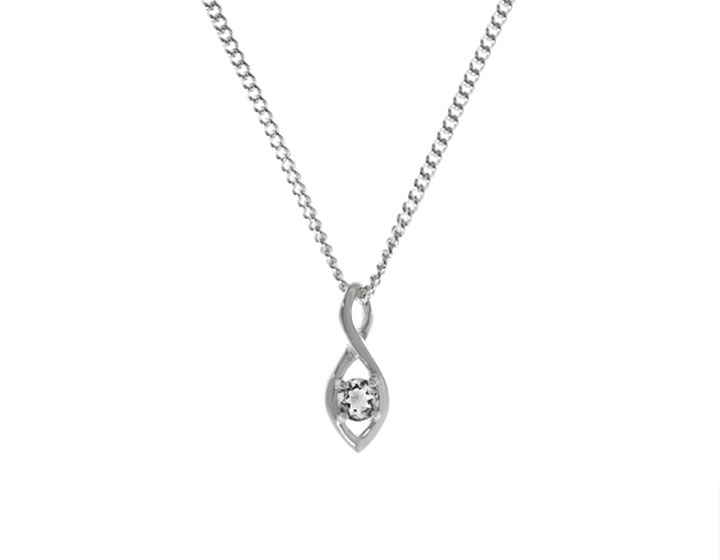 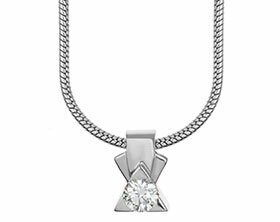 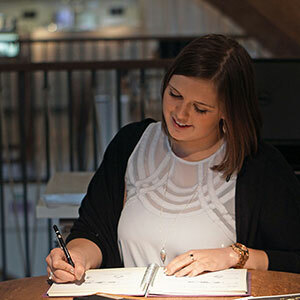 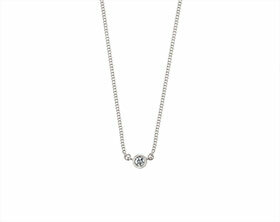 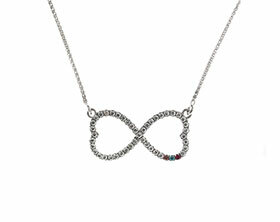 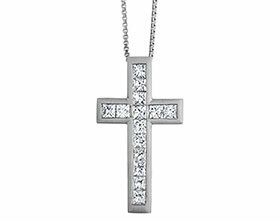 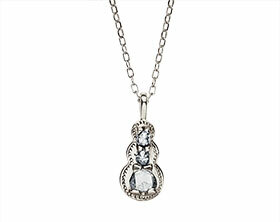 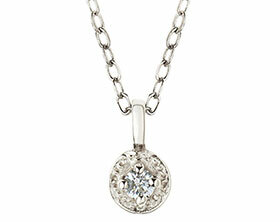 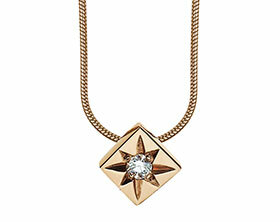 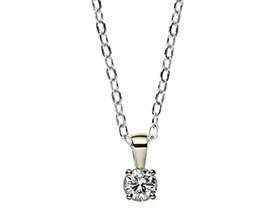 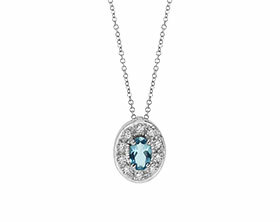 Haley wanted to use her own diamonds to create a pendant that she could wear on special occasions. 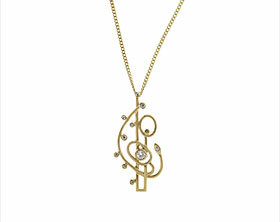 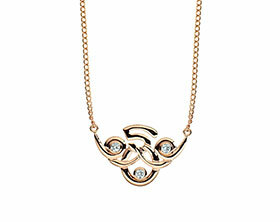 Her favourite styles are Art Deco and Art Nouveau so the design combines influences from both movements. 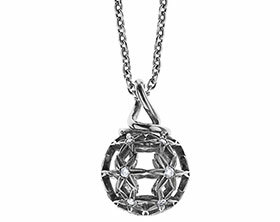 The main structure of the pendant showcases the clean geometry associated with the Art Deco period and features iconic stepping detailing. 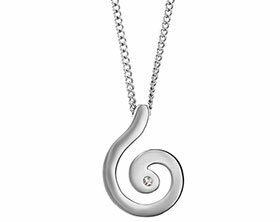 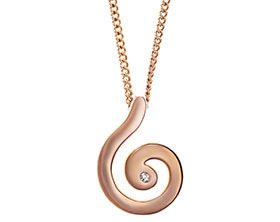 Curl detailing in the centre of the pendant reflects the supple curves and swooping lines of the ‘new art’ era, with each of the curls holding Haley’s own old cut diamonds. 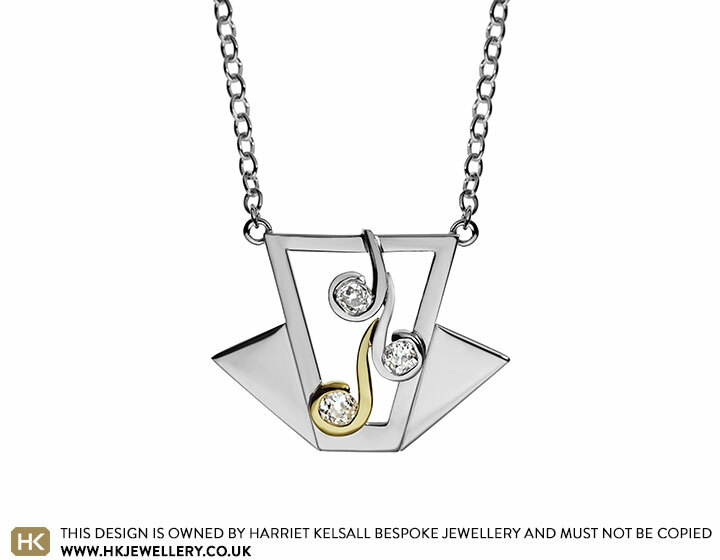 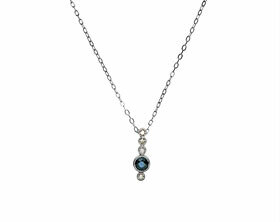 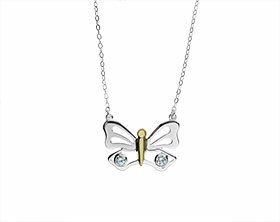 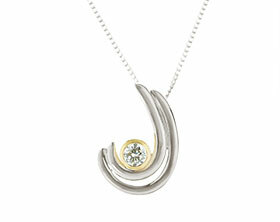 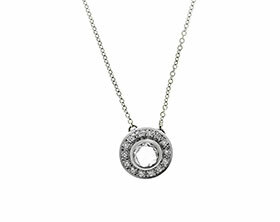 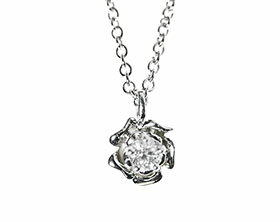 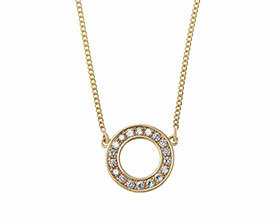 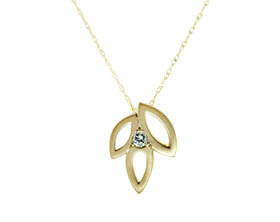 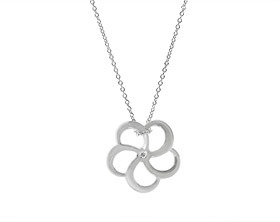 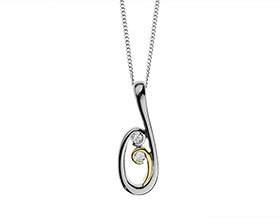 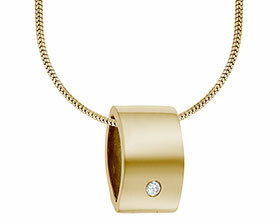 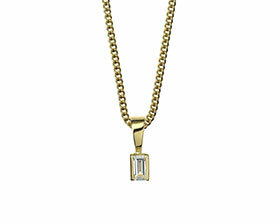 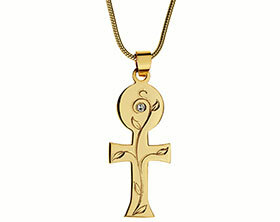 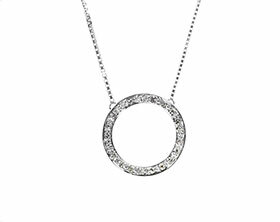 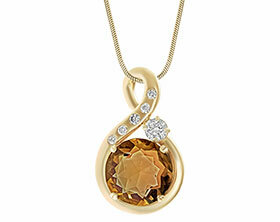 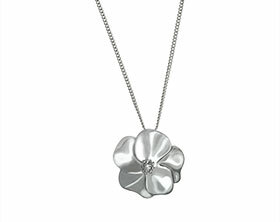 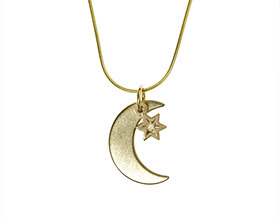 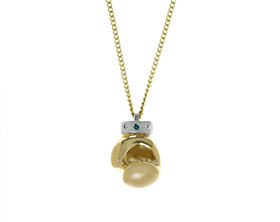 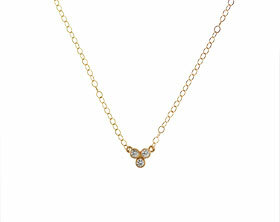 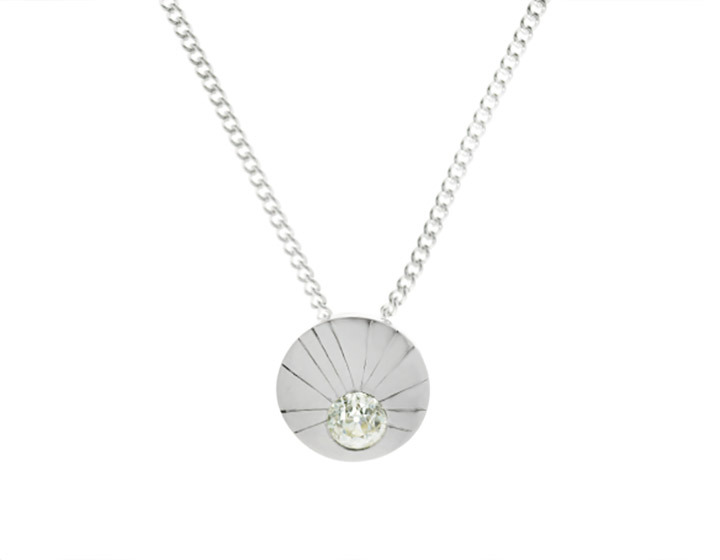 The pendant is handmade predominantly from Sterling silver but also features Haley’s own 18 carat yellow gold.